A need to use up some beads led me down a road to chunky and gaudy. I like wearing this ridiculous thing. I LOVE THIS NECKLACE!! If you were ever to sell it, I would so love to know this. 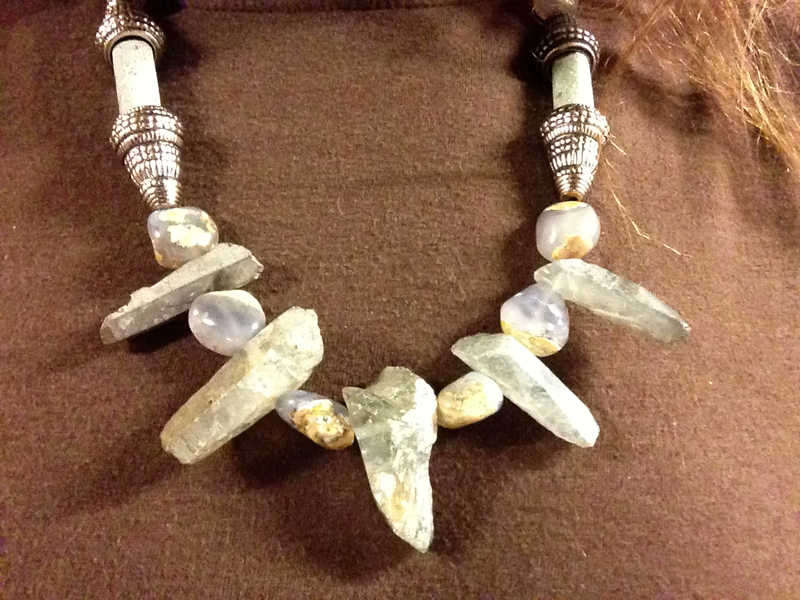 Or, if you had some extra Holly Blue Chalcedony beads that you’d be willing to part with…. I’m such a fan. Have really enjoyed all your necklaces…. all very feel-good. Thanks for your inspiration.